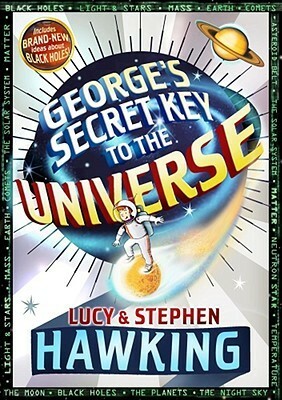 Stephen Hawking, author of the multi-million copy bestselling A Brief History of Time, and his daughter Lucy explain the universe to readers of all ages. George's parents, who have always been wary of technology, warn him about their new neighbors: Eric is a scientist and his daughter, Annie, seems to be following in his footsteps. But when George befriends them and Cosmos, their super-computer, he finds himself on a wildly fun adventure, while learning about physics, time, and the universe. With Cosmos's help, he can travel to other planets and a black hole. But what would happen if the wrong people got their hands on Cosmos? George, Annie, and Eric aren't about to find out, and what ensues is a funny adventure that clearly explains the mysteries of science. This book does several things awkwardly - and several things well. 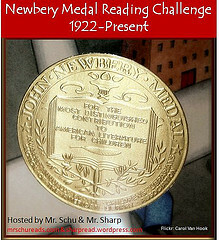 This makes it a challenging book to review. The plot itself is the awkward part. It's not a terrible storyline, but it doesn't flow smoothly. We don't even meet the "villain" in the story until we are fairly well into the book. The characters - especially George's parents - are exaggerated and not incredibly interesting. The other awkward part is how the authors segue-way between the narrative and the information. Often Eric will just declare, "Let me tell you all about..." and then launch into a space lecture. The story is adventurous enough, and smooth enough, for Magic Tree House graduates, though. This is probably the key audience. If the plot and characters are awkward, why would anyone read the book? Let's start with the fact that this is a book about space science written by STEPHEN HAWKING. Yes, that was enough to make me want to pick up and read to the ending. I guarantee that it will be enough for upper elementary students who are fascinated by space to be motivated to read it as well. George's Secret Key to the Universe is packed full of informational pages, including numerous full color photograph pages. The story is enough to lure you from informational bit to informational bit - and will help upper elementary or younger middle school students pull it all together. The simplicity of the story probably keeps it more in the upper elementary range. Comets, planets, and black holes - oh, my! Can anything escape from a black hole? Is it more important to search for a new planet for us or to care for Earth? Who will love this book? George's Secret Key to the Universe will have a specific audience. The story may be limited, but the science is great. I know I've always had students who were completely fascinated by space, black holes, and the universe. One of those very students was the one who donated this book to my school's library. If you have a space aficionado, a student just intrigued by space science, or a Magic Tree House "graduate", this may just be the spark that sets them searching out more and deeper informational texts. 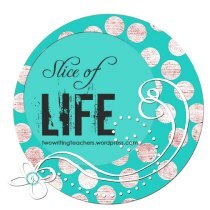 I'm writing each day in March as part of the Slice of Life challenge hosted by Two Writing Teachers. Join us today - or as many days as you can. 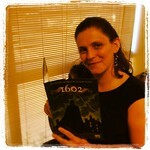 I'm counting today's review in my Slicing, because science and science fiction are a big part of my life!